Percy Richard, or as shown in his birth registration, Richard Percy, was born in Gosport in the first half of 1894, the son of George Hester and his wife, Martha Ann (Annie) née Brindley. Percy was born at a very sad time for the family, his brother Sidney David died, aged 4, a few weeks before. 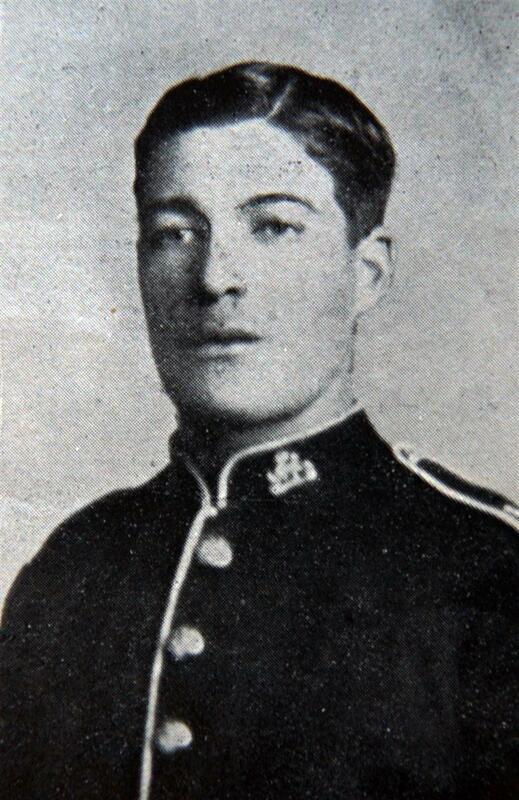 His other siblings, all brothers, were William Henry (born Newbury 1883), Victor George (Farnham 1885), Albert Allen ‘Berty’ (Newbury 1898) and Robert James (Newbury 1903). George was a labourer from Fulham while Annie was a Newbury lass. The family moved around, as can be seen from the birthplaces of the children - in 1901 they were in Alverstoke, Hants. In 1906 George died in Newbury leaving Annie with the youngsters, Percy, Berty and Robert to care for. Four years later Annie remarried to George William Wheeler and the new family set up home at 11 Hampton Road in the ‘City’ area of Newbury. 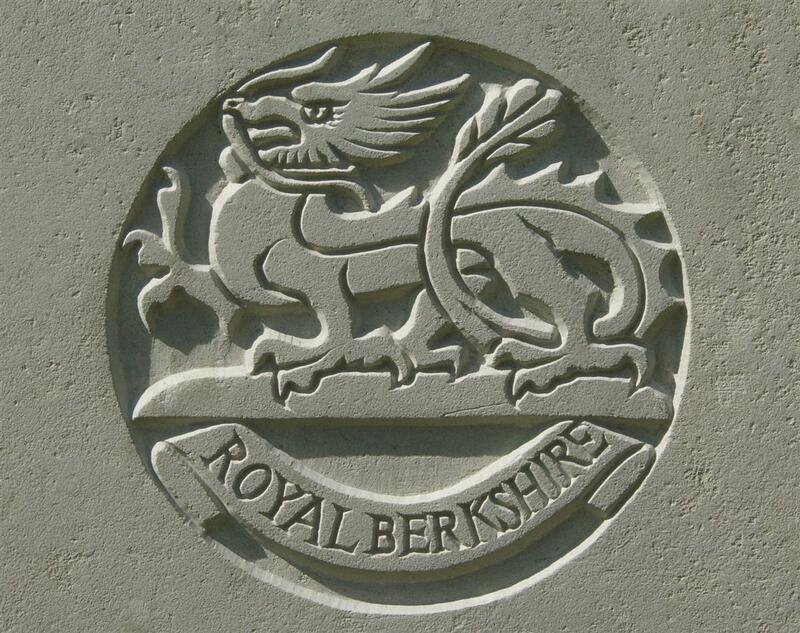 On 27 March 1912, soon after Percy reached the age of eighteen he enlisted with the Royal Berkshire regiment and was posted to their 1st Battalion, then on home duty. In 1914, when war was declared on 4 August, the 1st Battalion were in Aldershot, but not for long. On 13 August 1914 they landed in France where they were part of the 6th Brigade, 2nd Division and were in action when the British Expeditionary Force met the German army for the first time at Mons. Percy was with the Battalion through the retreat from Mons, the battles of the Marne and the Aisne and then the 1st Battle of Ypres, which established the infamous Ypres Salient. On 7 February 1915 the Battalion relieved the 1st Battalion, King’s (Liverpool) Regiment, in the front line near Givenchy a few miles east of Bethune. The battalion war diary records the disposition of the troops Bn HQ and D Company took over Keep, B Coy or right (50yds from enemy), A Coy in center and C Coy of left (300 yards from enemy). Staffords on right of B Coy, 1/KRR on left of C Coy. All line except B Coys section dry. All four machine guns in line plus 2 guns of Kings. Percy was with B Company, occupying wet trenches only 50 yards from the German line. All the other battalions mentioned were familiar to the 1st Royal Berks as they were their fellows from the 6th Brigade. The sad news of the death of her son, Pte P R Hester, killed in action near the little village of Givenchy, France, on February 8th, has been received by Mrs Hester, Hampton-road, Newbury. The first announcement made by the War Office, was to the effect that he was wounded, but a second notice dated March 10th, dismissed any hope that might have been entertained concerning him. He was a good soldier, and a friend among his comrades. His father, George Hester, served in the Rifle Brigade in the Afghan Expedition of 1877-79, for which he received the medal and clasp. Writing to his mother as to his death, Corpl L R Doble, 1st Royal Berks, in France, says:- I am writing on behalf of my section to offer you our heartfelt and deepest sympathy on the loss of you son, Percy Hester, who was killed in action on February 7th, 1915. He was a general favourite with everyone, and died as he lived, “A Soldier.” Continuing the writer says: “It was in the trenches on the 7th, at 11.30am, that I was looking out through a loophole in the trench, when he came along and asked me to let him get there, which I did and remained talking to him, but he hadn’t been there five minutes before a shot came right through the loophole, and he died in my arms two minutes later; a painless, quick death, without speaking a word. He is buried in the village of Givenchy, near La Basée, in a neat little grave, with a wooden cross at the head, with his name and number inscribed. We as a section, feel the loss of our best man, and we all offer you our heartfelt sympathy for your great loss.” Mrs Hester has received a note from Lord Kitchener conveying the sympathy of His Majesty the King, and the Queen, in her sorrow. Pte Hester had been at the front since August 7th. The ‘neat little grave’ described by Corpl Doble did not survive the war. He is now listed among the many thousands of soldiers who have no known grave. 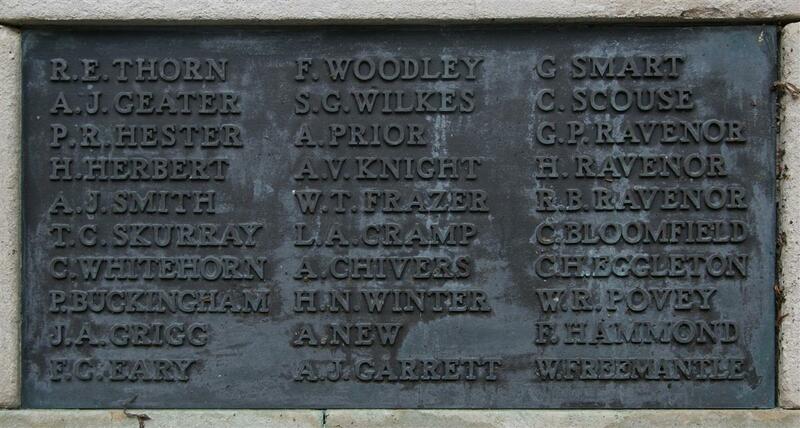 His name is remembered on panel 30 of the memorial to the missing at Le Touret , about 4 miles north of Givenchy. Locally he is remembered on panel 12 of the Newbury Town War Memorial and on the splendid memorial tablet in the URC Church, Cromwell Place, Newbury. One of the dreadful features of the Great War was the way it exposed a whole generation of young men to extreme danger. Families with a number of sons spent years wondering which of them they might lose next. As one of five living brothers Percy was followed into action by William, Victor and Berty (Robert was young enough to escape the ordeal). Seven months after Percy’s death Berty landed in France with the 7th (Service) Battalion of the Royal Berks only to move on to Salonika two months later. William and Victor followed their younger brothers into action in 1916. Lance-corporal W H Hester, of the Royal Berks, son of Mrs G Wheeler (formerly Hester) of the City, has been awarded the Military Medal for bravery in the field. In writing to his mother, he modestly says he did no more than hundreds of others have done under the circumstances. He says they were being heavily shelled, when one of his section was buried, and he dug him out. Pleased to say that he was not even scratched, although he considered the buried man was in a safer place had he been able to breathe. There are three other brothers in the Army, one in the Garrison Artillery, another in the Field Artillery, and a third in the Berks. A fourth was killed while serving with the Berks. As noted above William served with the Royal Berkshire Regiment, rising to the rank of Sergeant (19606) in the 5th Battalion; Berty was a Private (13189) in the 7th Battalion and Victor was a Gunner (107051) with the Royal Garrison Artillery. Another brother is mentioned in the report of William’s Military Medal, serving in the Royal Field Artillery; this may be a mistake, the only other full brother, Robert, was only 13 at the time and it does not appear that their step-father, George Wheeler, had any children.